The article describes how trained volunteers in Nuh, Haryana, are helping villagers access to government schemes. Read More . . .
A story of change of how Sarjeet Sharma's efforts yielded positive results for an entire village. A resident of village Maulaka and a father of two, Sarjeet raised his voice concerning the erratic immunization drives in his village. With the help of community radio, he made a difference. Read More . . . In conversation with Dr. Bhaskar Chatterjee, former director general and CEO, Indian Institute of Corporate Affairs. Section 135 of the Companies Act, 2013 is an Indian law made for India, by India, in India, and tailored for India's development needs. Read More . 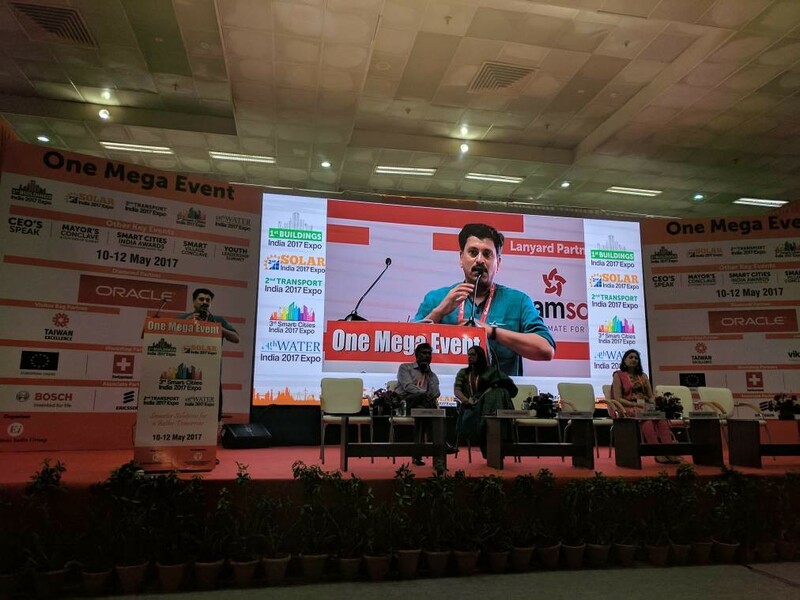 . .
Sehgal Foundation was a knowledge partner at the Smart Village Conclave, co-organized with Exhibitions India Group on May 12, 2017, at Pragati Maidan, New Delhi. The event coincided with other mega events at the Smart Cities India 2017 Expo. The events were supported by various ministries from India and by the United States Department of Commerce. Sehgal Foundation's team members conducted two sessions on “Engaging citizens in smart villages” and “Strengthening village institutions for smart villages.” View event pictures . . .
With funding from Oracle India Pvt. Ltd., Sehgal Foundation inaugurated two digital literacy and life skills education centers in May 2017 in villages Jatka and Nawli in district Nuh, Haryana. The centers focus on Internet literacy, accessing information about various government schemes, and building awareness of government institutions within their villages. Adolescents learn life skills that build their confidence and enhance decision-making abilities. Read More . . . 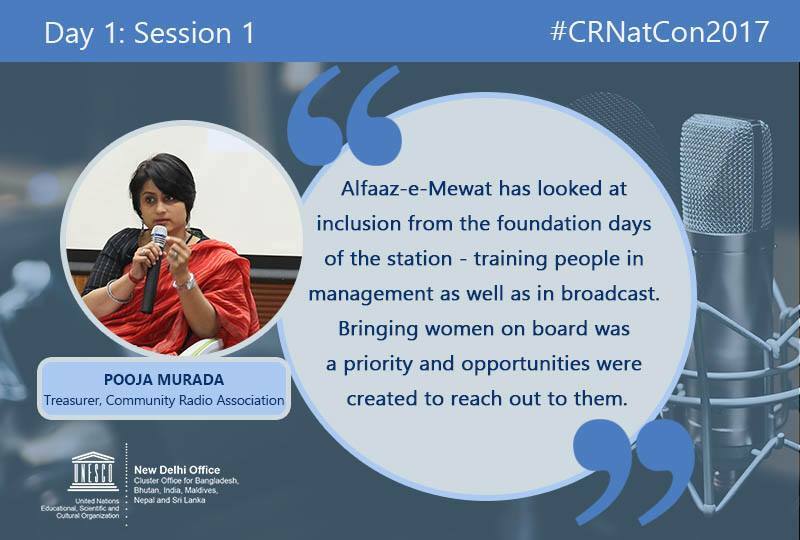 The Alfaz-e-Mewat community radio team participated in a ten-day certificate course on community radio organized by the Indian Institute of Mass Communication (IIMC) from April 27–May 10, 2017. Ministry of Information and Broadcasting set up a learning resource center at IIMC for empowering community radios in India. Pooja Murada, director, Communications, was one of the resource persons in this capacity-building exercise. She had also represented on a panel at the National Consultation on Strengthening Community Radio in India from April 11–12, 2017, organized by UNESCO New Delhi and UNESCO Chair on Community Media (India). 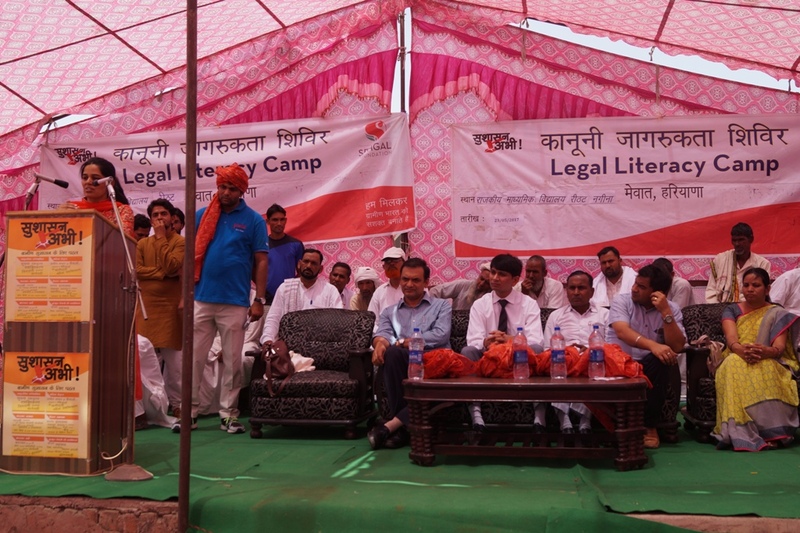 A village-level legal literacy camp was held in collaboration with District Legal Services Authority (DLSA) Nuh and gram panchayat (village council) in Rithat village in district Nuh on May 23, 2017. DLSA Chief Judicial Magistrate and Secretary Narender Singh participated with paralegal volunteers, lawyers, panchayat and school management committee members, and other district-level functionaries in the camp. In all, 560 citizens (375 men and 185 women) learned about key provisions of government programs and acts related to food, education, housing, employment, and social security programs. To encourage corporates to discuss and appreciate the role of corporate social responsibility in India's rural development, Sehgal Foundation hosted a discussion on May 5, 2017, with Arun Kumar Jain, managing director of Fluor Daniel India Pvt. Ltd. Read More . . .
Jagan Singh was in his teens when his family moved to a small hamlet, two kilometers from the main village, Gudachandra Ji in Karauli district of Rajasthan to live closer to their farm land. Dug wells were the only source of water for inhabitants in the main village and in the hamlet, which met the daily water needs for drinking, household, livestock, and agriculture. Read More . . .